Minimum quantity for "Barn Hunt Design" is 1. 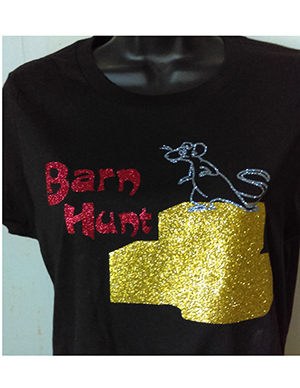 This ladies short sleeve t-shirt is 4.3-ounce, 100% ring spun combed cotton, and tapered on the side. These are a little lighter weight than a regular tee and super comfortable.